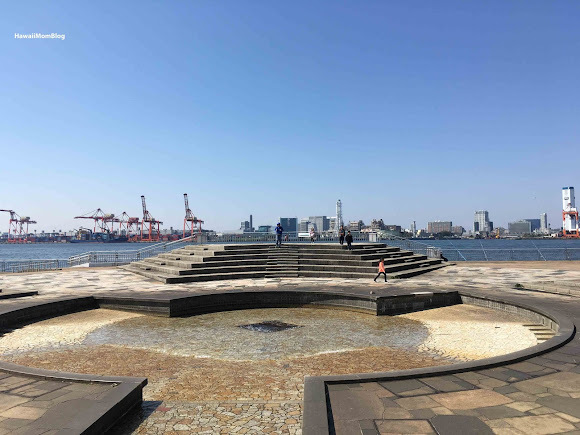 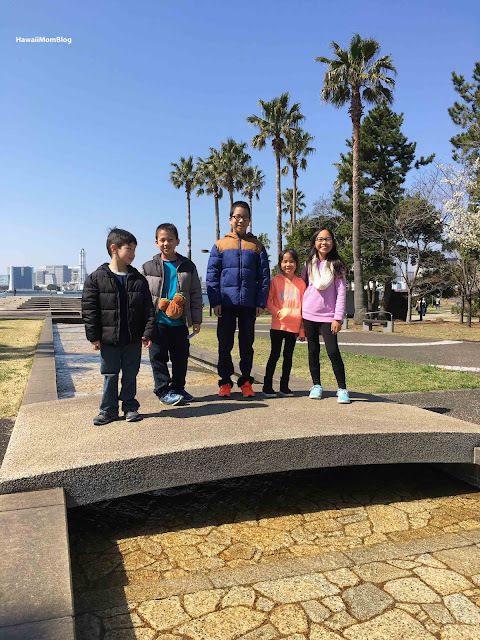 While in Odaiba we went to Shiokaze Park in search of a playground. Unfortunately, it wasn't until we got to the park did we realize the playground was dismantled just a few months earlier due to safety reasons. 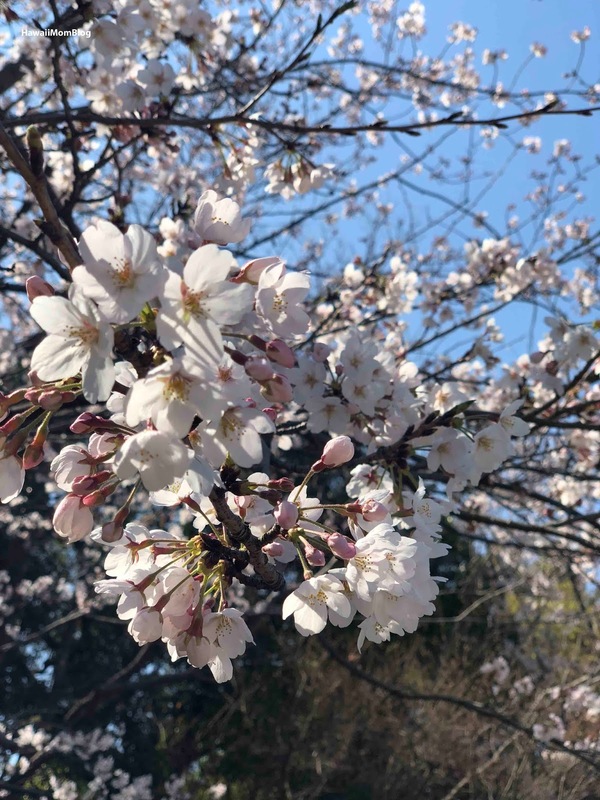 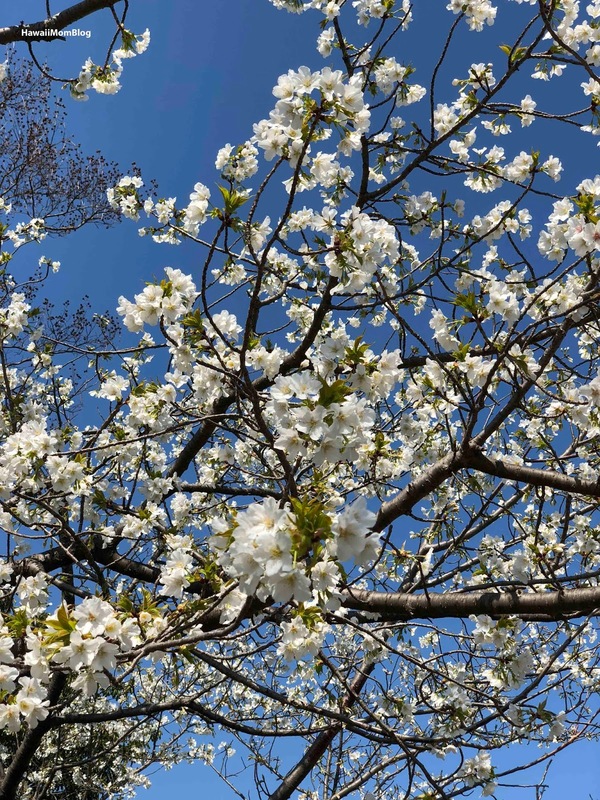 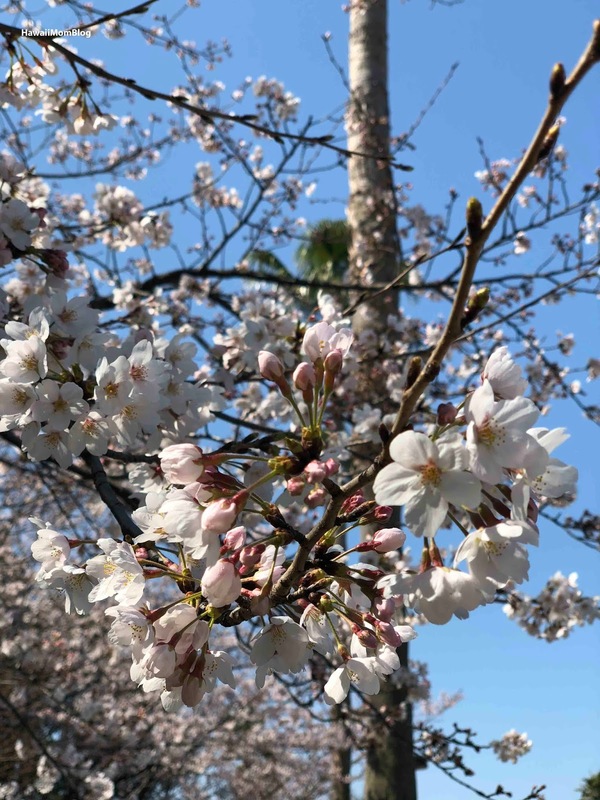 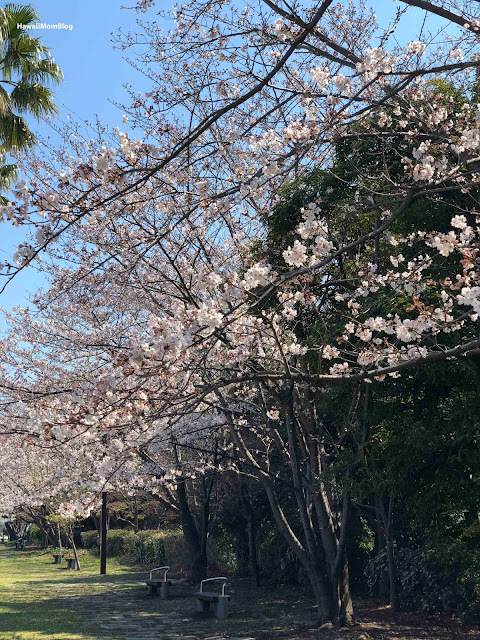 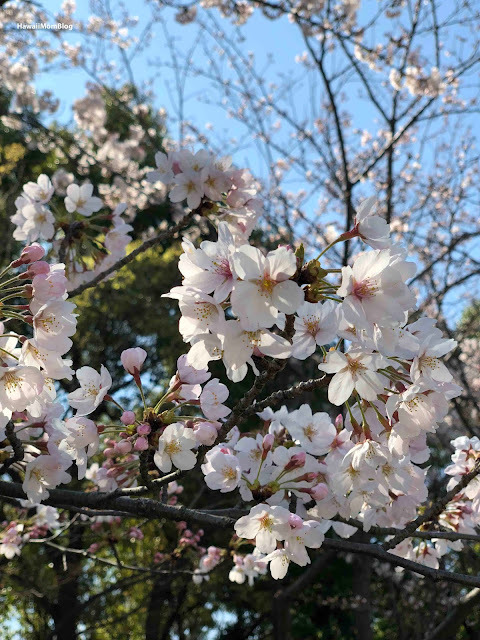 However, we did stroll the park a bit, and got to view some cherry blossoms. 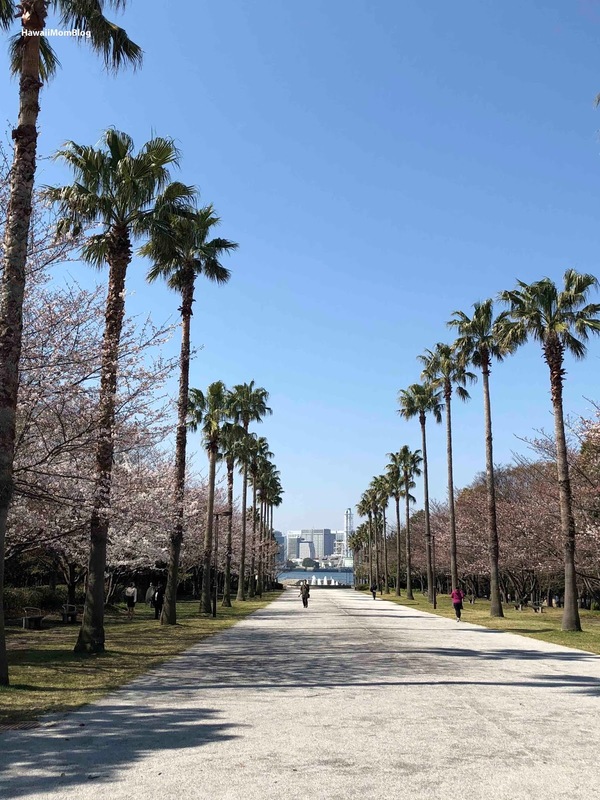 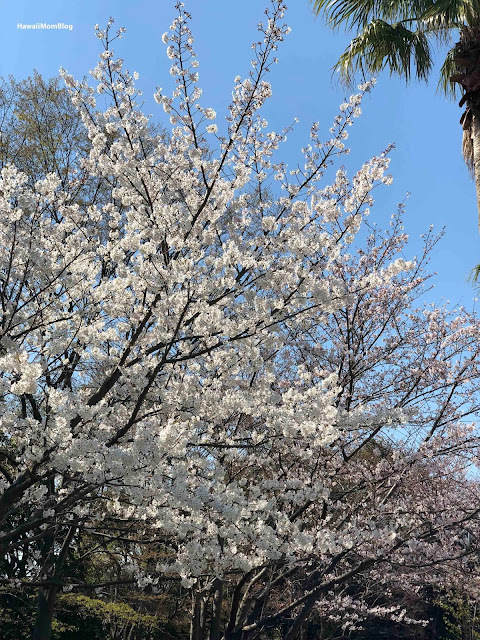 The Park has thousands of trees, and is right along the Odaiba waterfront, so you can see the Tokyo Bay and Rainbow Bridge. 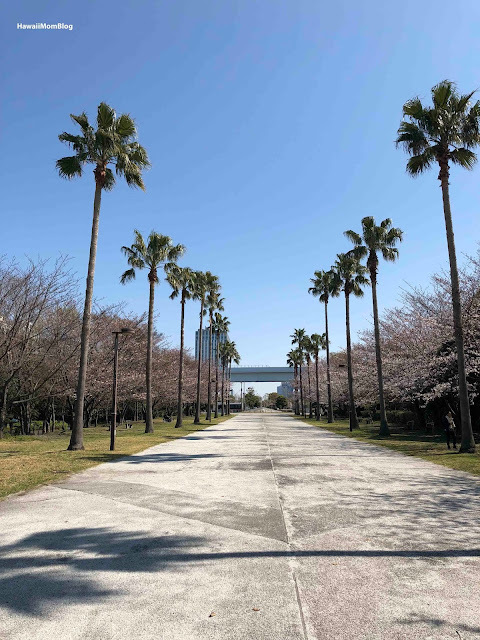 It's a short walk from DiverCity Tokyo Plaza, so when the kids start getting hungry, walk on over to the food court or the numerous restaurants there, and get some shopping done too!